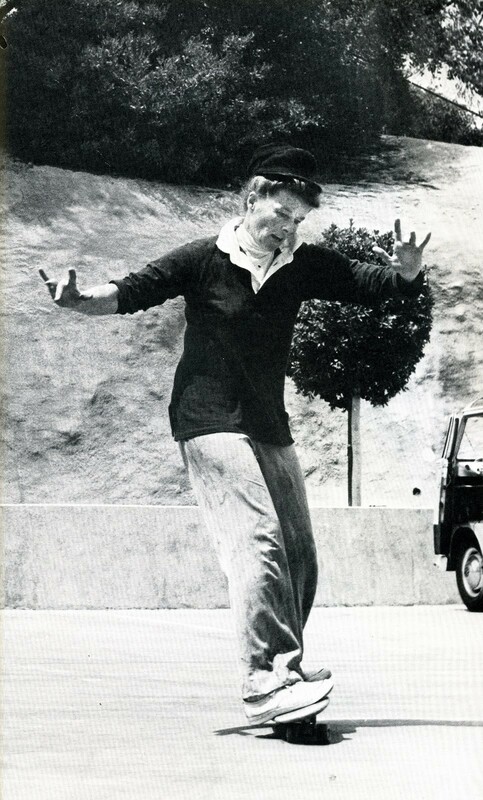 As if we needed any more evidence that Katharine Hepburn was a badass -- this is, after all, the woman who wore pants in Hollywood when it still "amaze[d]" people -- Reddit user avrenak posted a photo Sunday of the actress wheeling about on a skateboard. According to Complex.com, the photo was taken by Hepburn's nephew Jack Grant during an outing in Beverly Hills. We're far from skateboarding experts, but she looks pretty damn good to us.